The illustrator doesn’t tell YOU what to do, so don’t tell the illustrator what to do! You do your professional job with the text and the illustrator does his/her professional job with the art. Respect is the key here. If you want to dictate some of the art to the illustrator, please put it in the text. Otherwise, let the illustrator choose. Notes to Illustrator: when, why? Is there any time you can send a note to the illustrator? Yes. When the text and art must conflict someway. 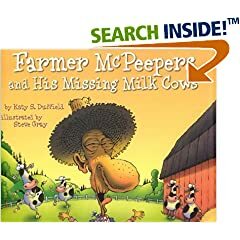 For example, in Katy Duffield’s picture book, Farmer McPeeper and the Missing Milk Cows, the almost-blind-farmer-because-the-cows-stole-his-glasses keeps making statements about what he sees that are wrong. The story’s humor comes partly from the disconnect between what Farmer McPeeper sees and what the reader sees — we know he’s wrong! Then, let the illustrator take it from there. If there’s a mistake, point it out to the editor immediately and they will ask the illustrator to correct it. For my picture book, Searching for Oliver K. Woodman, it was a sequel to The Journey of Oliver K. Woodman, so the details had to be consistent between books. The illustrator, Joe Cepeda accidently changed a character from left-handed to right-handed; when it was pointed out, he immediately made the change. If the art is simply — in your opinion — awful, you can again talk to the editor and ask them to reject the art or ask for it to be redone. But, most contracts don’t give you veto power and you must accept the editor’s opinion. In the end, you must find a way to reconcile yourself to the illustrator’s vision. You can’t go around trashing the art, because that means you are trashing YOUR BOOK! You should resolve to never mention it outside your family and then, get behind the book and help promote it. Write notes to the illustrator for your manuscript. The, try to put everything absolutely necessary into the text itself. 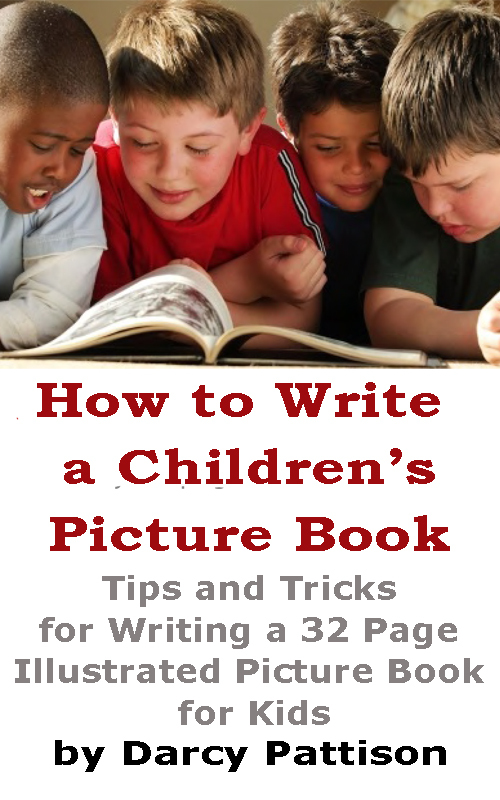 Read it over: do you really need that note to the illustrator to make the story work? Try to do without it, unless the art should contradict something in the text.